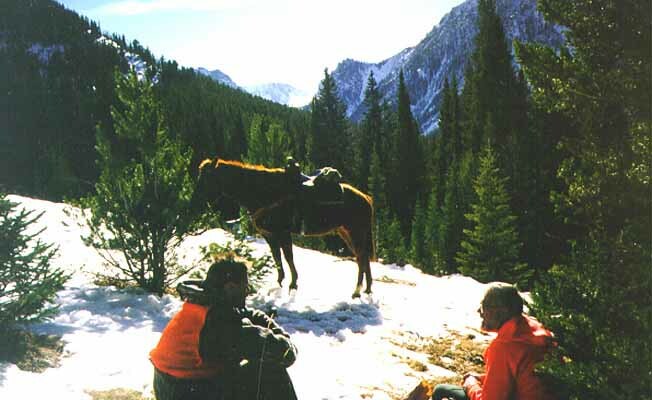 Hawley Mountain Guides offer elk, moose and mountain goat hunting in the Absaroka Beartooth Wilderness, 23 miles north of Yellowstone Park in challenging mountain terrain. Your ability to walk off the trail in steep rugged country will have an impact on improving your success rate. Mule deer are also available, but we usually concentrate on elk in this high country. Experienced and knowledgeable guides will assist you. We are a small family operation; usually my two adult sons and myself do the guiding. Accommodations are in our guest ranch lodge, or at a camp seven miles in. Visit our website at http://www.hawleymountain.com.